Yes, this is technically a salad with chicken. I am not kidding. 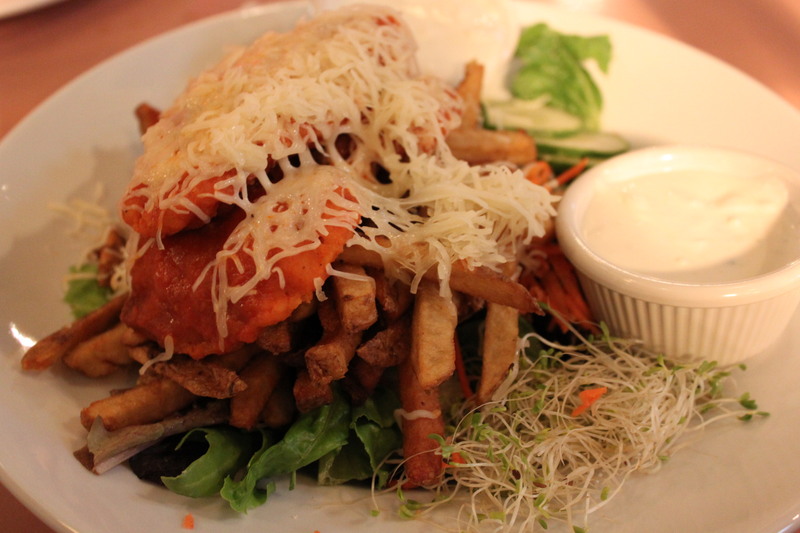 That is not garnish under the chicken, cheese and fries. That is a salad. My friend Jenn moved to Pittsburgh in 2012. I was really sad. I met Jenn when we both worked second jobs at the B.Dalton in Union Station back in the mid 90s. Ah those were the days – shootings, muggings and the occasional person disrobing because God asked them to. And that was just in the food court. So, I visited Jenn last October and made my first of what I am sure will be many trips to Pittsburgh. In fact, I will be visiting Jenn this month! And that got me thinking about what we did during my last visit. Jenn and I are truly passionate about two things….brunch and beer. 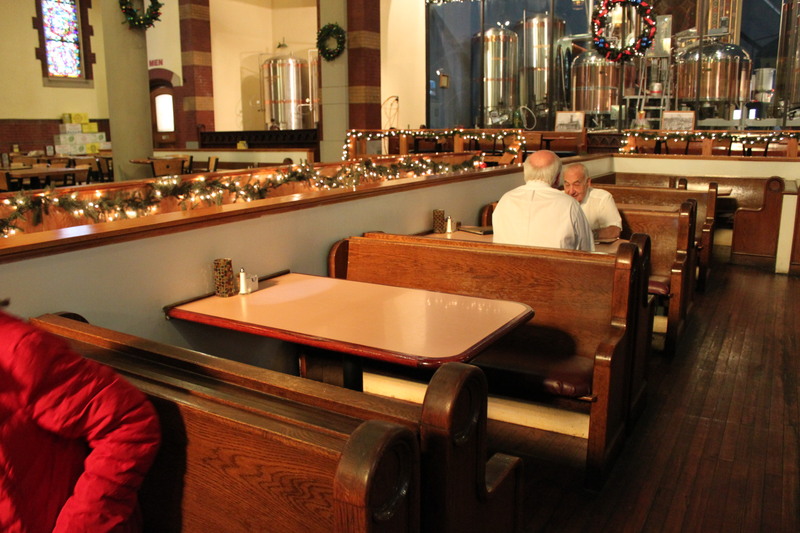 And the first day we went out for our first meal and landed at the Church Brew Works. Loved it!!!!! 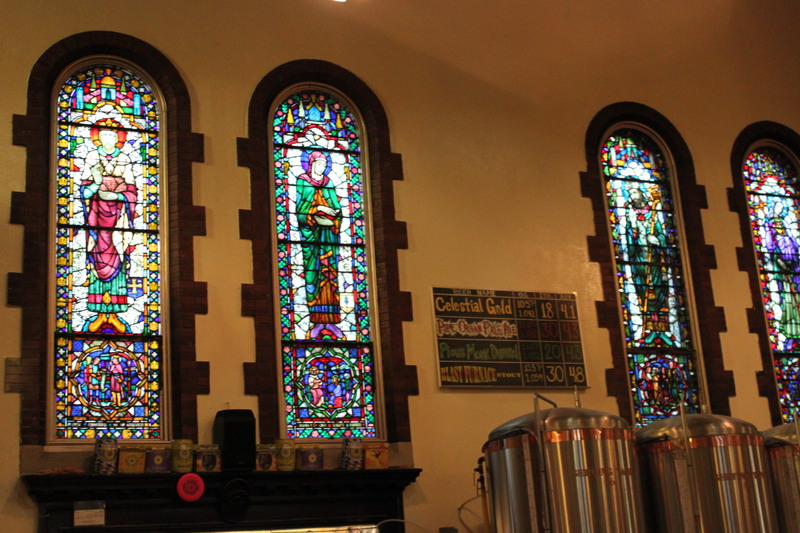 Now bars and churches have more in common than you think – both are places of worship where thirsts are quenched, either spiritual or physical. They are places where masses of people come together to break bread. Interestingly enough, both also often leave one with a feeling of self loathing upon exiting. The only difference is that with bars, you don’t remember the feelings of guilt as much, at least not until the next day. Hooray bars! So when I was still on Weight Watchers (whole other post right there) I ordered a salad. And I found out that in Pittsburgh, a salad is not your average salad. I ordered a salad with chicken and, after thinking there was a typo in the menu, I asked the server if the fries were in fact on the side of the salad and not on the salad itself. Guess what, no typo. That is some serious a la mode-ing. So when I then asked our server if I could have the fries on the side he politely told me no. Cheeky waiter! Actually, he knew it was my first meal in Pittsburgh and he told me that I needed to have at least one salad in Pittsburgh with the fries where they were meant to be. So I did. And it was awesome.